I recently wrote about working with Governor-General Peter Cosgrove on defining organisational resilience at the executive and board level. In the article titled ‘What is organisational resilience?’ I told the story of how we collaborated with Peter who had recently retired as General of the Armed Forces. 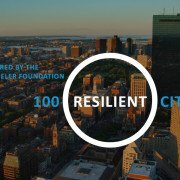 Working in the still-emerging area of organisational resilience over the past ten years has created unique opportunities to share the thinking with some of the brightest and most experienced people in both public and private sectors. It was through one of these shared thinking events that we were able to work with then retired General Peter Cosgrove to capture his insights and experience in the complex area of emergency management, specifically for business leaders. 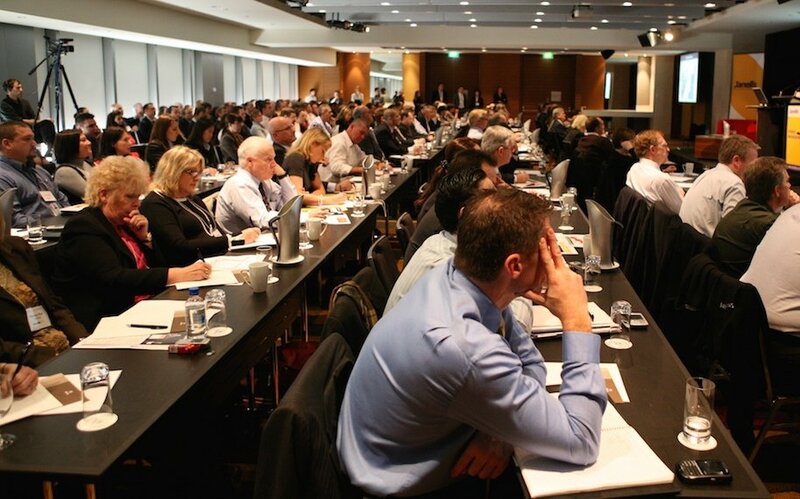 In recalling the diverse range of events, training sessions and exercise activities involved in building organisational resilience, including the ones where Peter worked directly with executive teams with Janellis, there was one stand-out moment that had the greatest impact – Convergence, a National Emergency Summit held in Sydney in November 2006. I was standing at the back of the room and Peter was on centre stage flanked by key members of the IAG crisis management team and a panel of experts from police, fire, ambulance, transport and media. The audience was made up of several hundred executives and subject matter experts, with media crews set-up at the back of the room. The intensity of the discussions taking place was palpable and when Peter spoke, the room was so quiet you could hear a pin drop. The NSW Government had recently launched the Sydney CBD Emergency Subplan and Janellis had also launched our Guidelines for Business to help organisations interpret the plan and build capability. Many organisations had told us they wanted to see “how it would actually work in practice” so we set about achieving the ambitious goal of developing a hypothetical scenario to test the current plans and the thinking that surrounded them. We identified key response agencies that would be involved, critical infrastructure service providers, plus a range of organisations that wanted to be involved and who would be directly impacted. With more than 400,000 people identified within the Subplan zones, the participant numbers kept growing. In considering who would be the best person to lead this landmark event for Australia, there was no better candidate than then Retired General Peter Cosgrove. Peter spoke at the time of his immediate attraction to working with the business community. This was as a result of his professional experience in emergency situations, as well as his “profound belief that there is a pressing need for the business community to prepare to cope with disaster”. He commented on our “new reality” and the need to factor the capability to respond to major disruptions into the highly necessary column of our busy lives. The hypothetical involved a gas explosion in a building site within the Sydney CBD and the Subplan included elements of emergency management that were new to Australian organisations, such as SydneyAlert and directions to the public, including ‘shelter-in-place’ and nominated ‘safety’ sites that were different to normal fire evacuation sites. The discussions were building up to a peak point when it became clear that the unique characteristics of the Sydney CBD would require a significant and coordinated response for an emergency event of this nature. Key questions were being asked about the reliance on security staff from building management to interpret the directions to public, as detailed in the new plan. Concerns were raised about how quickly the SydneyAlert messages would be sent out and how organisations affected would actually respond to the shelter-in-place command and what did it actually mean. Business leaders wanted to know how reliable the information provided was and how they should respond to incomplete or conflicting information. Peter mentioned the yin and yang of media being the best source of information and the worst. He spoke of the skill required to ‘cut through the noise’ and to demonstrate critical thinking at key decision points. As this was the first time the private sector and the public sector had come together in this format, the discussions were exhaustive and we were running well over time. There was a mini-crisis occurring in the kitchen, as hundreds of beef dishes were waiting to come out and the venue manager was getting agitated. The venue manager was unaware of the magnitude of the discussions underway and I asked him to hold off a little while longer because we had reached a defining moment of dawning where business leaders realised that in an event of this scale within the CBD, they could not expect to get a response from a 000 call and they had to become self-reliant. The moment the IAG crisis management team reached their [hypothetical] decision to continue to advise staff to ‘shelter-in-place’ and disregard the information from the media was the highlight of the day. The conflicting information presented to them captured the complexity of the decisions they would face and; the need for the most senior and most capable crisis management team, to make decisions that would ensure the safety of many people. Australia has some of the best men and women leaders of any country in the world who can deal with business shocks standing on their feet and they have already demonstrated this. However, the new set of challenges needs more work. Some organisations are very advanced and responsible – and there are a lot who are not. In running through the hypothetical today, we can start to imagine the dimensions to the problem. Both the National Emergency Summit and more recent significant CBD events have highlighted the difficulties in moving large groups of people, the need for timely communication and the reliance on key decisions to be made. Organisations operating within the CBD cannot rely on emergency services agencies and building managers alone to ensure the safety of their staff and the continuity of their business. The reality is, in an emergency, business leaders may be faced with incomplete or conflicting information. The complexity of an effective response requires the most experienced and capable leaders to make decisions that could affect the safety of many people and the continuity of their business. Earlier this year, a revision of the 2006 plan was completed and the new Sydney and North Sydney Central Business Districts Evacuation Management Subplan was published on the Emergency NSW website. In recent months, Janellis has facilitated another executive-level exercise to build capability to respond to a range of disruptive events, including an event occurring in the CBD. 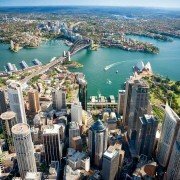 While there have been many advances in technology in the past decade and the risk profile continues to change, surprisingly, many of the emergency management issues for organisations operating in the Sydney and North Sydney CBD today are the same issues that were raised at the National Emergency Summit. Key strategies that are being used and tools that have been developed to address the issues highlighted at Convergence have proven to be effective – many organisations now have a measurable capability in emergency management at the executive level. With the expanded zones now including approximately 700,000 people, there is an even greater need to ensure that organisations operating within these zones are self-reliant, that they understand the key components and concepts of the Subplan – at an executive level – and that they have exercised and tested their capability. 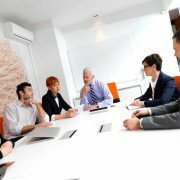 Janellis is an enterprise consulting firm working with leading organisations across many industry sectors and government agencies. 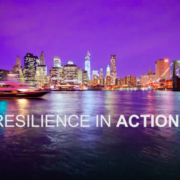 Janellis helps organisations execute their strategy and are specialists in transformation and change management; organisational resilience; risk, compliance and assurance; crisis and emergency management; and portfolio and project management.